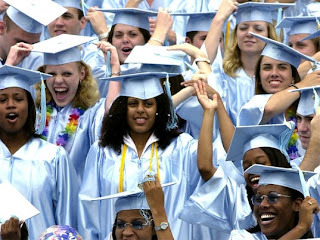 Hats off to fashion designer and award-winning colorist Alexander Julian for his eco-makeover of the University of North Carolina at Chapel Hill’s graduation gowns. The updated frocks are sewn in Virginia using 100 percent recycled polyester from a local mill. Roughly 23 post-consumer recycled plastic bottles go into the making of each gown. As a UNC alumnus, Chapel Hill native, and father whose son is graduating from the college, Julian had a vested interest in redesigning the gowns, not only to make them true “Carolina blue” but also green. Considering the gowns are purchased, worn once, and then generally tossed, never to be worn again, this is a genius eco idea.